Shield Diagnostics, a clinical laboratory tackling antibiotic resistance by bringing precision medicine to infectious disease, announced the launch of ‘Target –NG’, a rapid molecular test for antibiotic susceptibility in Neisseria gonorrhoeae. Dr. Jeffrey D. Klausner, Professor – Infectious Disease Medicine, University of California, Los Angeles, comments, “Rapid molecular testing for ciprofloxacin resistance allows for smarter medicine. Right now we're treating gonorrhea with a sledgehammer, we're treating everything with the same exact regime. And it's not a surprise that the organism will become resistant to what we're currently using”. With 820,000 cases reported of Gonorrhea each year in U.S, the CDC named antibiotic resistant gonorrhea, a top 3 urgent public health threat. To slow the rate of antibiotic resistance, first line antibiotics can be used in the majority of patients if a precision medicine approach is taken to identify the specific resistance patterns of an infection & the appropriate drug then prescribed. Association for Sexual Health and HIV, recently announced revised treatment guidelines to recommend treating with ciprofloxacin if susceptibility results are available prior to treatment. arget-NG can determine if a given gonorrhea infection is susceptible to ciprofloxacin with the same turnaround time as regular gonorrhea screening tests. 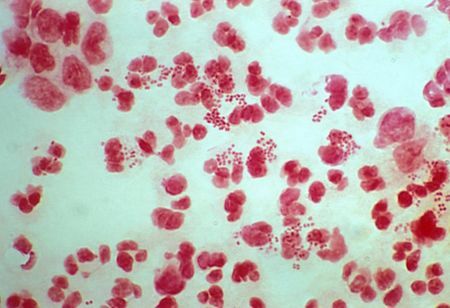 “Target-NG can determine if a given gonorrhea infection is susceptible to ciprofloxacin with the same turnaround time as regular gonorrhea screening tests. This is enabling prescription of a single-dose pill (ciprofloxacin) as an effective treatment for gonorrhea”, Fred Turner, CEO, Shield Diagnostics. However, ciprofloxacin can be used to treat 80 percent of infections, and is 99.8 percent effective when susceptibility has been determined. It is administered as a single oral dose, than the current injectable treatment, hence clinicians can prescribe antibiotics for the patient to give to their partners, ensuring that they are treated as well. Founded in 2016, Shield Diagnostics is CLIA lab located in San Jose, CA and it provides clinicians with the ability to adopt a precision medicine approach to the most pressing infections, so that patients are provided with the highest standard of care and first line antibiotics can continue to be an invaluable tool.